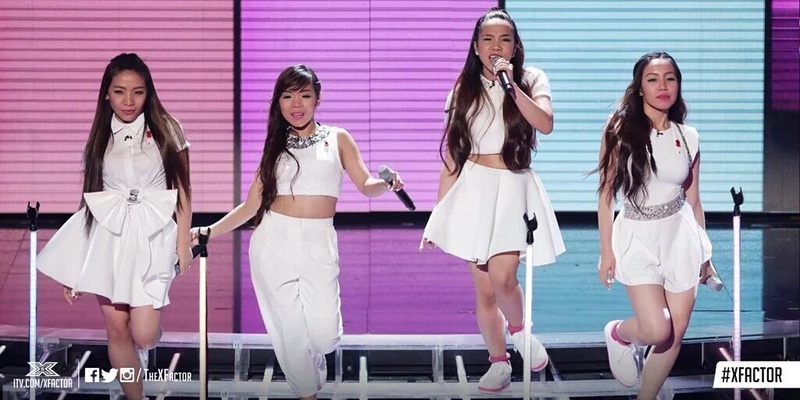 X Factor UK 2015 (Series 12) just had its first live show Saturday, October 31 (Sunday, Nov 1 PH time) with the 13 finalists, including the Filipino group 4th Impact (formerly 4th Power), performing for the viewers votes. Aside from 4th Impact, the other finalists of X Factor UK 2015 under Group category are Alien Uncovered and Reggie n Bollie. Ché Chesterman, Seann Miley Moore and Mason Noise on one hand are finalists under Boys, while Louisa Johnson, Lauren Murray, Kiera Weathers and wild card contender Monica Michael make up the Girls category.